Valinor is a girl that you could easily slide right into your foundation herd. She is a beautiful light silver grey girl with many years of breeding ahead of her. She is from The Silversmith line, which is rich in grey and grey producing genetics. There are countless possibilities for Val in her breeding profile. 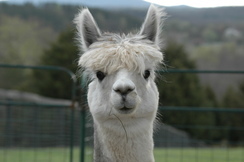 She displays a bright, crimpy fleece with fine qualities. We have chosen to breed her to Crescent Moon's Relanpago. Rel is a fabulous light silver grey herdsire that looks PINK and to our knowledge, exhibits NO spots! 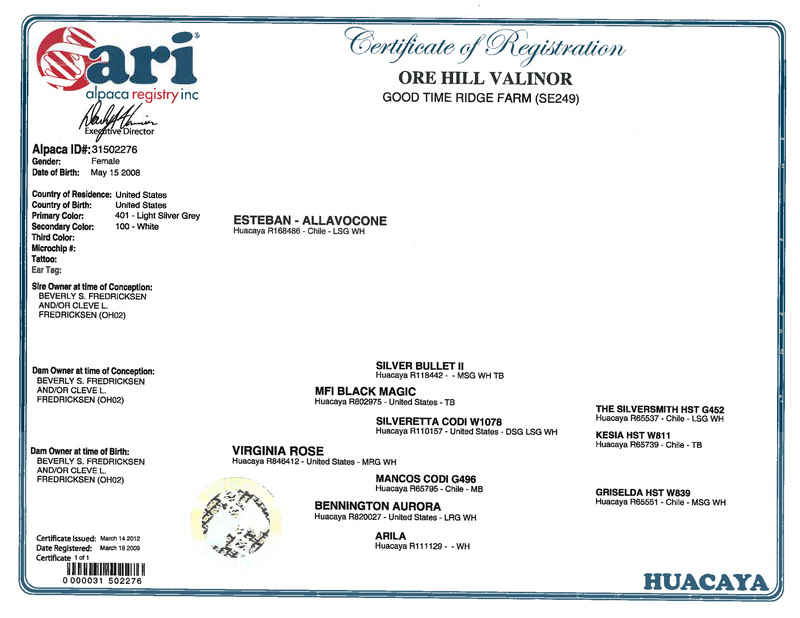 Relanpago, like many of his relatives- is a multi blue ribbon winner and a jewel. His style is gorgeous, with exceptional coverage, sizeable bones, an ideal frame and a stylish head. His fleece is fine and very dense, while expressing a nice bright, high frequency crimp. 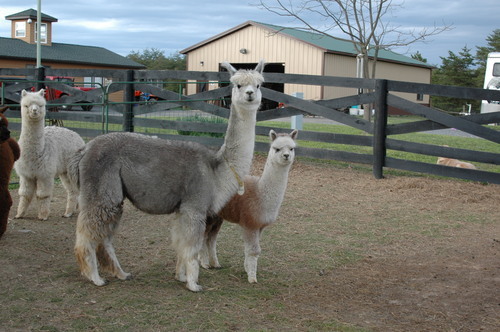 We are quite confident that the pairing of Val and Rel will produce a beautiful grey cria. This paring produce a beautiful "PINK" male cria Montego. Valinor is now breed to Snowmass Artic Blue and I can only imange what that pairing is going to produce.